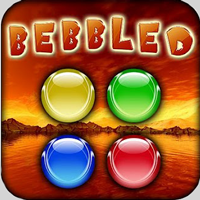 One of the most exciting Android games around, Bebbled will have you bursting bubbles in over half a dozen gameplay variations. There over 30 levels too. Each level is different, providing hours of fun. To play the game, you have to match the color of at least two orbs. If you can join up several orbs quickly, you will be able to surpass the preset scores. It sounds basic, but this game from Nikolay Ananiev actually offers a lot of challenge. If you’re stuck, turn your phone 180 degrees; other scoring possibilities may emerge. What you need is a combination of quick reflexes and sharp thinking. To achieve maximum score, you’ll need to plan your moves. This only goes to show that there is more to the game than meets the eye. You make a selection by tapping; you then learn what you’ll score by making that move. The bebs can be taken out by making another tap. Press and hold will take out several pieces quickly. The display is bright and the movement smooth. The brightly colored orbs make them easy to spot. There are also some background options available. The game relies on the accelerometer to determine if your phone is flipped. Other features are vibration and background music. You can get in via Twitter or Facebook. Using this option will allow you to play with friends and compare scores. At Bebbled Online, you can challenge them or anyone on the planet. Scores can be saved for easy comparison. Aside from online play, you can try campaign or freestyle. The game isn’t a cakewalk; you’ll need to keep playing to really become an expert. Compared with other similar games, Bebbled emphasizes strategy.